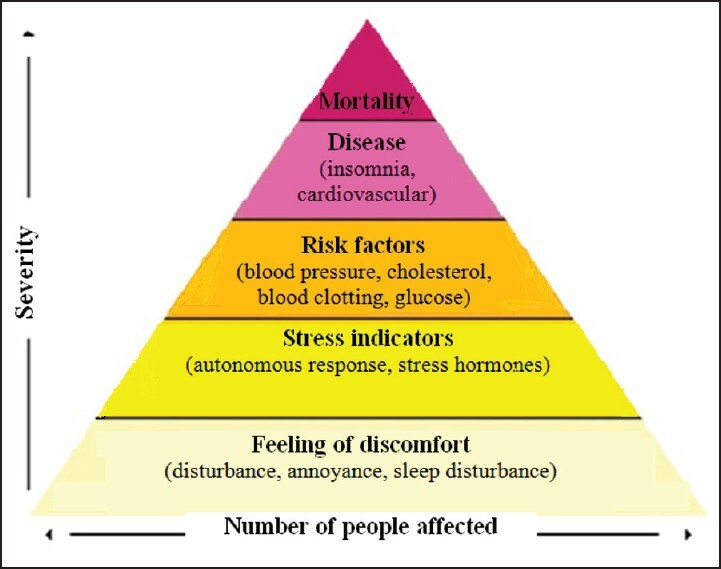 Chronic stress induces neurochemical changes that include neurotransmitter imbalance in the brain. Noise is an environmental factor inducing stress. Chronic noise stress affects monoamine neurotransmitter systems in the central nervous system. The effect on other excitatory and inhibitory neurotransmitter systems is not known. The aim was to study the role of chronic noise stress on the glutamatergic and gamma-aminobutyric acid (GABA)ergic systems of the brain. Female Wistar rats (155 ± 5 g) were unintentionally exposed to noise due to construction (75-95 db, 3-4 hours/day, 5 days a week for 7-8 weeks) in the vicinity of the animal care facility. Glutamate/GABA levels and their metabolic enzymes were evaluated in different rat brain regions (cortex, hippocampus, striatum, and cerebellum) and compared with age and gender matched nonexposed rats. Chronic noise stress decreased glutamate levels and glutaminase activity 27% and 33% in the cortex, 15% and 24% in the cerebellum. Glutamate levels increased 10% in the hippocampus, 28% in striatum and glutaminase activity 15% in striatum. 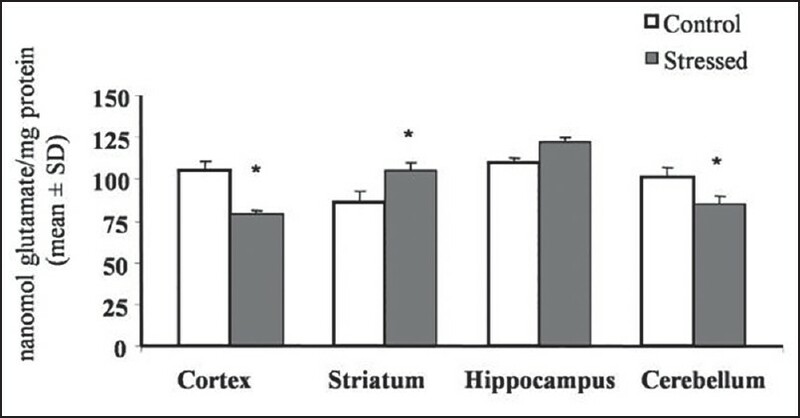 Glutamine synthetase activity increased significantly in all brain regions studied, that is, cortex, hippocampus, striatum, and cerebellum (P < 0.05). Noise stress-increased GABA levels and glutamate alpha decarboxylase activity 20% and 45% in the cortex, 13% and 28% in the hippocampus respectively. GABA levels and glutamate alpha decarboxylase activity decreased 15% and 14%, respectively in the striatum. GABA transaminase activity was significantly reduced in the cortex (55%), hippocampus (17%), and cerebellum (33%). Chronic noise stress differentially affected glutamatergic and GABAergic neurotransmitter systems in the rat brain, which may alter glutamate and GABA neurotransmission. Exposure to loud sound during leisure activities for long periods of time is an important area to implement preventive health education, especially among young people. The aim was to identify the relations among awareness about the damaging effects of loud levels of sounds, previous exposures do loud sounds, preferences-related to sound levels and knowledge about hearing protection with age, gender, and their parent's educational level among children. Prospective cross-sectional. Seven hundred and forty students (5-16 years old) and 610 parents participated in the study. Chi-square test, Fisher exact test and linear regression. About 86.5% of the children consider that loud sounds damage the ears and 53.7% dislike noisy places. Children were previously exposed to parties and concerts with loud music, Mardi Gras, firecrackers and loud music at home or in the car and loud music with earphones. About 18.4% of the younger children could select the volume of the music, versus 65.3% of the older ones. Children have poor information about hearing protection and do not have hearing protection device. 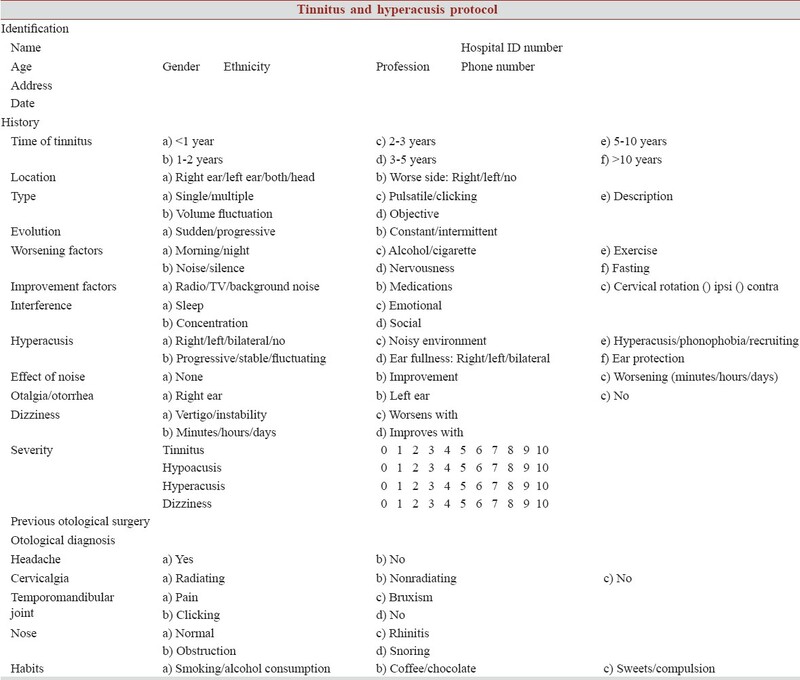 Knowledge about the risks related to exposures to loud sounds and about strategies to protect their hearing increases with age, but preference for loud sounds and exposures to it increases too. Gender and parents' instructional level have little influence on the studied variables. Many of the children's recreational activities are noisy. 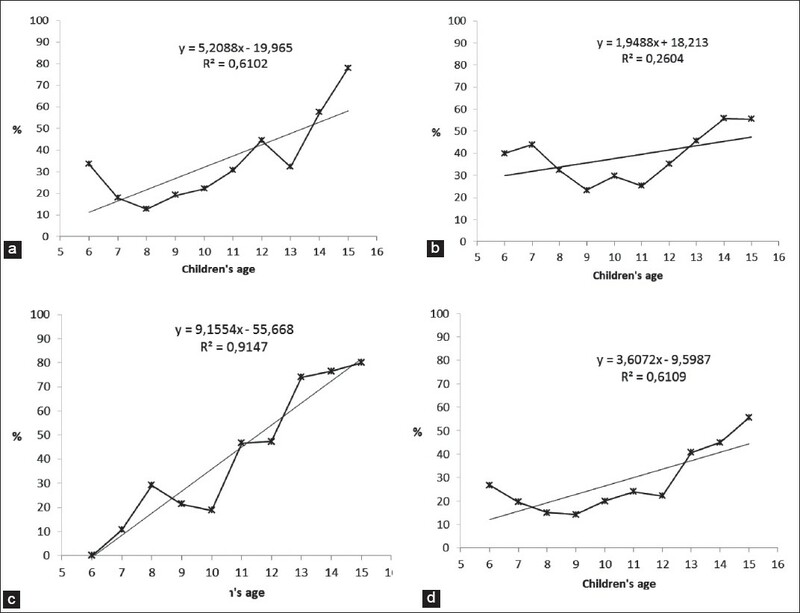 It is possible that the tendency of increasing preference for loud sounds with age might be a result of a learned behavior. The Noise Sensitivity Scale Short Form (NSS-SF), developed in English as a more practical form of the classical Weinstein NSS, has not to date been validated in other cultures, and its validity and reliability have not yet been confirmed. This study aimed to validate NSS-SF in Bulgarian and to demonstrate its applicability. The study comprised test-retest (n = 115) and a field-testing (n = 71) of the newly validated scale. 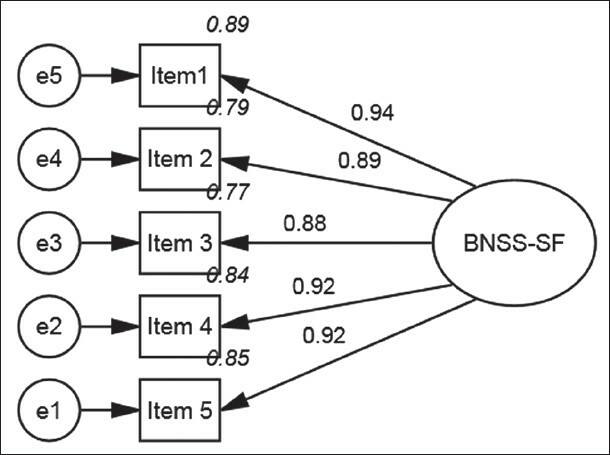 Its construct validity was examined with confirmatory factor analysis, and very good model-fit was observed. Temporal stability was assessed in a test-retest (r = 0.990), convergent validity was examined with single-item susceptibility to the noise scale (r = 0.906) and discriminant validity was confirmed with single-item noise annoyance scale (r = 0.718). The lowest observed McDonald's omega across the studies was 0.923. The cross-cultural validation of NSS-SF was successful but it proved to be somewhat problematic with respect to its annoyance-based items. Noise affects the dining atmosphere and is an occupational hazard to restaurant service employees worldwide. This paper examines the levels of noise in dining areas during peak hours in different types of restaurants in Hong Kong SAR, China. A mathematical model that describes the noise level in a restaurant is presented. The 1-h equivalent continuous noise level (Leq,1-h) was measured using a Type-1 precision integral sound level meter while the occupancy density, the floor area of the dining area, and the ceiling height of each of the surveyed restaurants were recorded. It was found that the measured noise levels using Leq,1-h ranged from 67.6 to 79.3 dBA in Chinese restaurants, from 69.1 to 79.1 dBA in fast food restaurants, and from 66.7 to 82.6 dBA in Western restaurants. Results of the analysis of variance show that there were no significant differences between means of the measured noise levels among different types of restaurants. A stepwise multiple regression analysis was employed to determine the relationships between geometrical and operational parameters and the measured noise levels. Results of the regression analysis show that the measured noise levels depended on the levels of occupancy density only. By reconciling the measured noise levels and the mathematical model, it was found that people in restaurants increased their voice levels when the occupancy density increased. 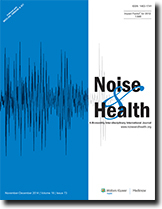 Nevertheless, the maximum measured hourly noise level indicated that the noise exposure experienced by restaurant service employees was below the regulated daily noise exposure value level of 85 dBA. The aim of this pilot study was to calculate the disability-adjusted life years (DALY) as a quantification of the burden of myocardial infarction (MI) attributable to road-traffic noise in Belgrade, Serbia. Exposure to road-traffic noise was estimated on a sample of almost 6000 adult inhabitants living in the central municipality Stari Grad in Belgrade, Serbia. Each participant was assigned to daytime noise levels for 16 h exposure measured on the street of current residence. Population-attributable fraction of MI due to road-traffic noise was calculated based on the distribution of the population in different noise exposure categories and the respective relative risk of MI compared to the reference level. DALYs due to noise-related MI were calculated as the sum of years of life lost and years with disability. The contribution of road traffic noise to the occurrence of MI for the population of the municipality Stari Grad in Belgrade equals 2.518%. Total DALY for MI due to road-traffic noise results in 176 years, that is, 115 years for men and 61 years for women. When adjusted for the present size of the population in Belgrade, total DALY due to road-traffic noise equals 107 years/million inhabitants that is, 70/million inhabitants for men and 37/million inhabitants for women. The burden of disease due to road-traffic noise in Belgrade is relatively small but noteworthy from the public health point of view. Due to rapid urbanization, the spatial variation between wanted and unwanted sounds will decrease or even disappear. Consequently, the characteristics of (urban) areas where people can temporarily withdraw themselves from urban stressors such as noise may change or become increasingly scarce. Hardly any research has been carried out into the positive health effects of spending time in areas with a good sound quality. One of the problems is that an overview of what aspects determines good sound quality in urban areas and how these are interrelated is lacking. 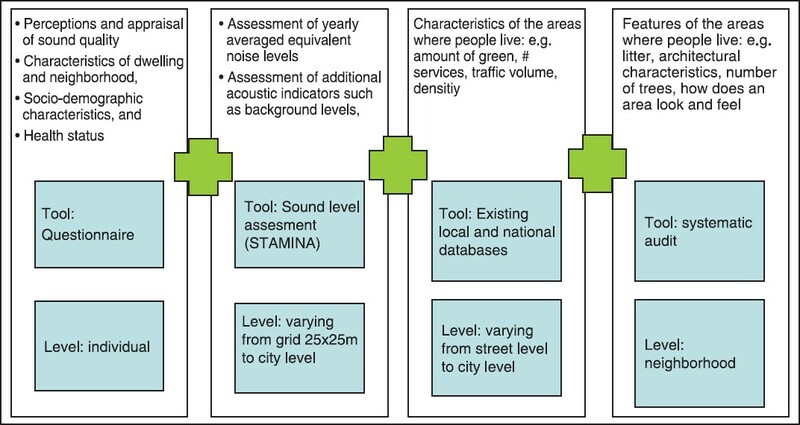 This paper reviews the literature pertaining to the sound quality of urban areas. Aim is to summarize what is known about the influence of social, spatial, and physical aspects other than sounds, on peoples' perception of urban sound qualities. Literature from both conventional sound research and from the so-called soundscape field, published between 2000 and the beginning of 2013 in English or Dutch, was evaluated. Although a general set of validated indicators that can be directly applied, is not available yet, a set of indicators was derived from the literature. These form the basis of a study protocol that will be applied in "Towards a Sustainable acoustic Environment", a project that aims to describe sound qualities at a low-scale level. Key-elements of this study protocol, including a questionnaire and the systematic audit of neighborhoods, were presented in this paper. In some regions the exposure to railway noise is extremely concentrated, which may lead to high residential annoyance. Nonacoustical factors contribute to these reactions, but there is limited evidence on the interrelations between the nonacoustical factors that influence railway noise annoyance. The aims of the present study were (1) to examine exposure-response relationships between long-term railway noise exposure and annoyance in a region severely affected by railway noise and (2) to determine a priori proposed interrelations between nonacoustical factors by structural equation analysis. Residents (n = 320) living close to railway tracks in the Middle Rhine Valley completed a socio-acoustic survey. Individual noise exposure levels were calculated by an acoustical simulation model for this area. The derived exposure-response relationships indicated considerably higher annoyance at the same noise exposure level than would have been predicted by the European Union standard curve, particularly for the night-time period. In the structural equation analysis, 72% of the variance in noise annoyance was explained by the noise exposure (Lden ) and nonacoustical variables. The model provides insights into several causal mechanisms underlying the formation of railway noise annoyance considering indirect and reciprocal effects. The concern about harmful effects of railway noise and railway traffic, the perceived control and coping capacity, and the individual noise sensitivity were the most important factors that influence noise annoyance. 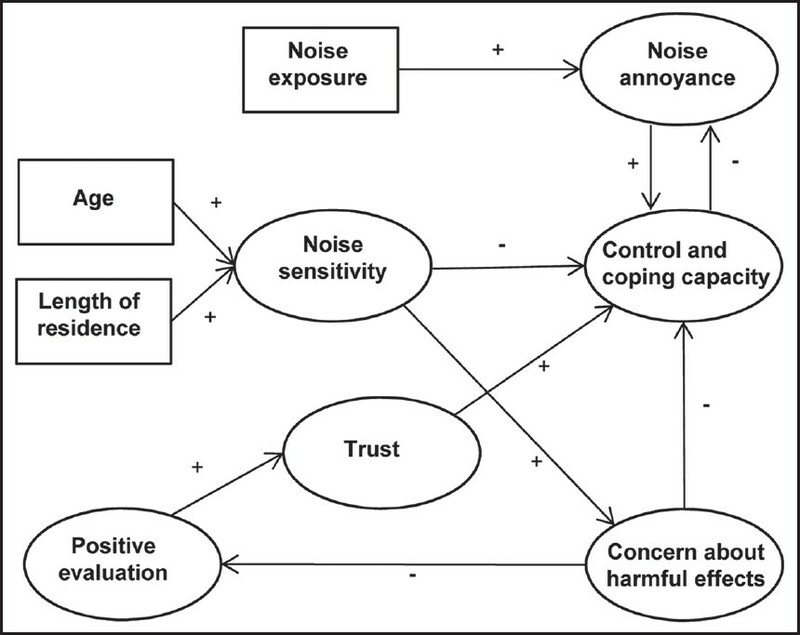 All effects of the nonacoustical factors on annoyance were mediated by the perceived control and coping capacity and additionally proposed indirect effects of the theoretical model were supported by the data. Noise-induced hearing loss (NIHL) is a major public health issue worldwide. Uncovering the early molecular events associated with NIHL would reveal mechanisms leading to the hearing loss. Our aim is to investigate the immediate molecular responses after different levels of noise exposure and identify the common and distinct pathways that mediate NIHL. 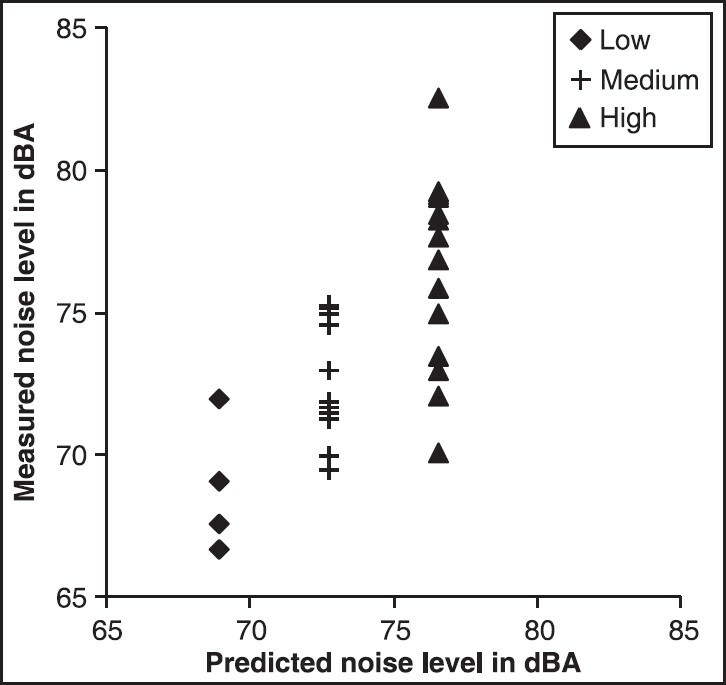 Previous work showed mice exposed to 116 decibels sound pressure level (dB SPL) broadband noise for 1 h had greater threshold shifts than the mice exposed to 110 dB SPL broadband noise, hence we used these two noise levels in this study. 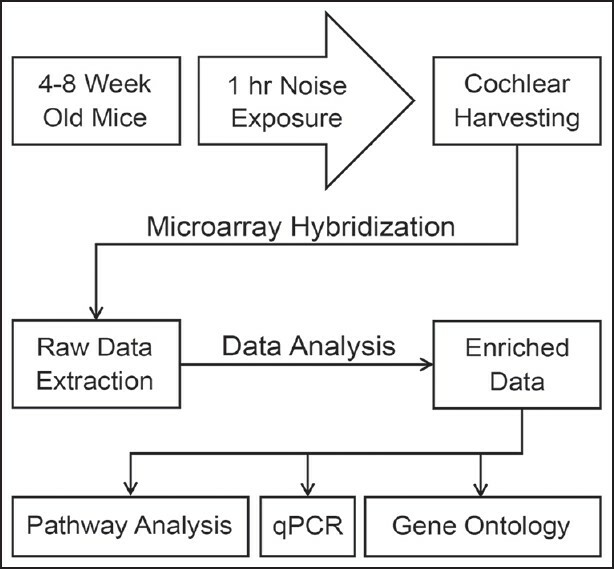 Groups of 4-8-week-old CBA/CaJ mice were exposed to no noise (control) or to broadband noise for 1 h, followed by transcriptome analysis of total cochlear RNA isolated immediately after noise exposure. Previously identified and novel genes were found in all data sets. Following exposure to noise at 116 dB SPL, the earliest responses included up-regulation of 243 genes and down-regulation of 61 genes, while a similar exposure at 110 dB SPL up-regulated 155 genes and down-regulated 221 genes. Bioinformatics analysis indicated that mitogen-activated protein kinase (MAPK) signaling was the major pathway in both levels of noise exposure. Nevertheless, both qualitative and quantitative differences were noticed in some MAPK signaling genes, after exposure to different noise levels. Cacna1b , Cacna1g , and Pla2g6 , related to calcium signaling were down-regulated after 110 dB SPL exposure, while the fold increase in the expression of Fos was relatively lower than what was observed after 116 dB SPL exposure. These subtle variations provide insight on the factors that may contribute to the differences in NIHL despite the activation of a common pathway. The objective of the present study was to assess the effects of occupational exposure to noise and organic solvents on hearing loss in bus and truck plant workers. Our case control study contained 469 workers from a bus and truck plant divided into three groups. The first group contained workers exposed to only noise; the second group contained workers exposed to both noise and mixture solvents at a permissible level; and the third group included workers exposed to permissible levels of solvents. The control group (Group 4) included 119 individuals selected randomly, persons who were not exposed to noise and solvents. These groups were compared in terms of each individual's frequency hearing loss in both ears. Our study demonstrates that combined exposure to mixed solvents and noise can exacerbate hearing loss in workers. Hence, a suitable hearing protection program is advised that would contain short-interval audiometric examinations and efficient hearing protectors. Noise was considered an environmental stressor causing a wide range of health effects such as acoustic, cardiovascular, nervous, and endocrine systems. The present study was performed to examine the effects of a repeated noise exposure on adrenal gland and heart tissue. The results showed that exposure to moderate intensity sound (70 dB[A]) causes time-dependent changes in the morphological structure of the adrenal cortex that involve disarrangement of cells and modification in thickness of the different layers of the adrenal gland. 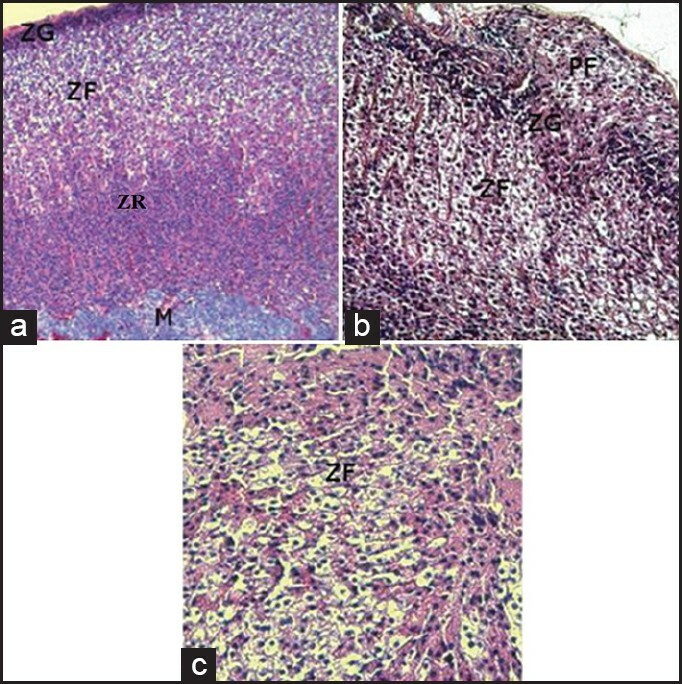 The experiment revealed important changes depending on exposure duration in the morphological structure of heart tissue that causes irreversible cell damage leading to cell death or necrosis. Tinnitus is characterized by an auditory perception of sound, with no stimuli from the external environment. Tinnitus is an increasingly significant complaint, affecting 10-17% of the world population. As a symptom, it should always be considered with pathology in the auditory system. Our study aims to assess the relationship of this symptom with the presence of a stapedial reflex and the phenomenon of recruitment. 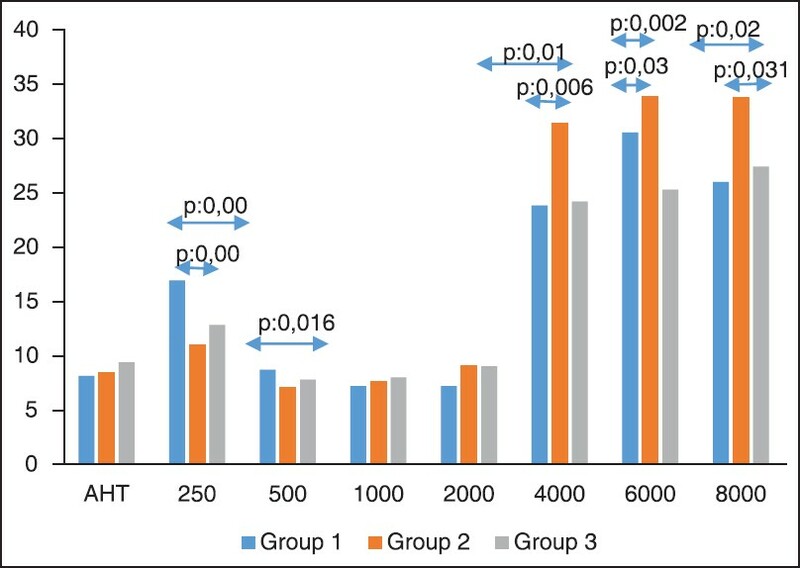 Medical records of patients complaining of subjective tinnitus during their first consultation in the Outpatient Clinic of the Unicamp Teaching Hospital, in Brazil, between 2011 and 2012 were analyzed. We carried out a study with 65 non-randomized tinnitus individuals using questionnaires, clinical and audiological evaluations. The visual analogue scale was used to characterize the degree of disturbance caused by tinnitus. Statistical tests were performed using the IBM SPSS Statistics 19. No association was found between tinnitus and the presence of acoustic reflex or phenomenon of recruitment. We concluded that there is no relationship between tinnitus, the phenomenon of recruitment or the presence of an acoustic reflex. Environmental noise remains a complex and fragmented interplay between industrialization, population growth, technological developments, and the living environment. Next to the circulatory diseases and cancer, noise pollution has been cited as the third epidemic cause of psychological and physiological disorders internationally. A reliable and firm relationship between the cumulative health implications with the traffic annoyance and occupational noise has been established. This agenda has called for an integrated, coordinated, and participatory approach to the reliable protection of noise interference. Despite several fragmented policies, legislation and global efforts have been addressed; the noise pollution complaints have been traditionally neglected in developing countries, especially in Malaysia. This paper was undertaken to postulate an initial platform to address the dynamic pressures, gigantic challenges, and tremendous impacts of noise pollution scenario in Malaysia. The emphasis is speculated on the traffic interference and assessment of industrial and occupational noise. The fundamental importance of noise monitoring and modeling is proposed. Additionally, the confronting conservation program and control measure for noise pollution control are laconically elucidated.